After last year’s streamlined solo album, San Francisco’s favorite son returns with the forthcoming Hairdressers From Heaven, the first Sunsets album since 2016. 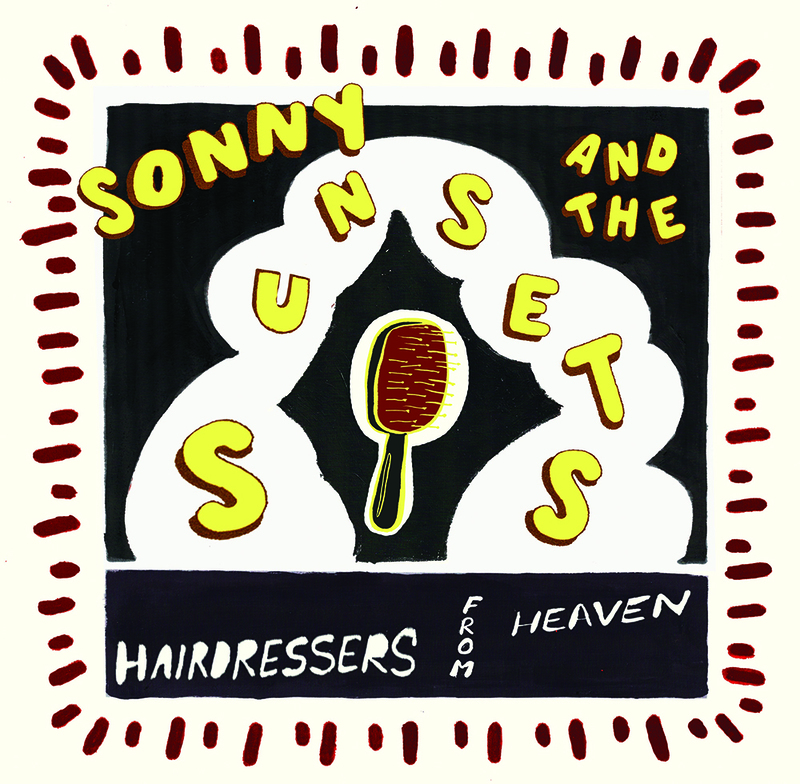 Produced by James Mercer and Yuuki Matthews of The Shins, Hairdressers is also the first on Sonny’s new Rocks In Your Head Records label. The album’s first clipping, “A Bigger Picture,” is pure Sonny & The Sunsets—a sunbaked pallet of instrumentation and voices carrying along an evocative tale both playful and scathing (“Past the Krispy Kreme where the lonely cops meet and share their Nutty Cocoa Rings and dream about a killing spree”). “Let’s be free / Let’s be freaks,” indeed. Sonny’s currently fundraising for the fledgling new label in exchange for a bevy of rewards—from zines and records to original art. If the future is any bit as bright as the past (his incredibly ambitious 100 Records project and 2012’s country-fried Longtime Companion remain huge favorites over here), there should be plenty to look forward to.